This past Saturday I had the pleasure of taking a trip out to Lancaster, Pennsylvania with my wife and my son. Growing up, there were few things that I enjoyed or looked forward to more than my family road trips. Some were north to New England and Upstate New York and a few were south to Washington D.C. and Virginia. 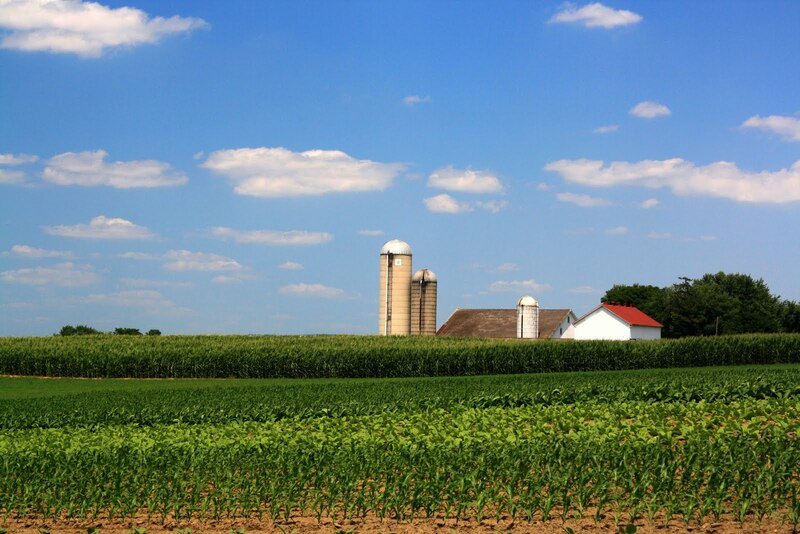 Most, however, took us out to Pennsylvania and, in particular, Lancaster County. Many of my favorite pictures from my childhood were taken at locations in and around Lancaster, and many of my most cherished memories hail from there as well. After deciding against driving up to Boston and then heading up to Portsmouth, NH and, ultimately, driving up Mt. Washington, my wife and I agreed to head out to Pennsylvania. Our first stop was Harrisburg--a city I have been to only once but one that I enjoyed immensely while I was there. Whereas this previous jaunt saw us photographing the capitol building (we were, in fact, taking a day trip to and through the four capitals of Harrisburg, PA, Annapolis, MD, Dover, DE, and, ultimately, Trenton, NJ) and visiting the Pennsylvania State Museum, this time we would be venturing only to a brewpub and a brewery; I can only imagine what memories my son will cherish from our family road trips! After leaving the capital, we began our journey back east towards the land of the Amish. 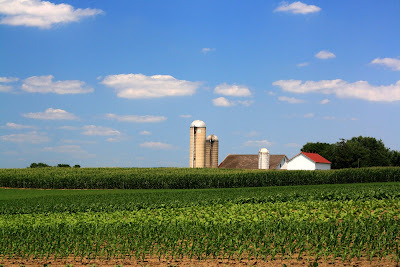 I was awash with nostalgia as I began to see the sprawling farmland with silos stretching towards the bright blue sky; it was as if it had not changed at all (in a way, I suppose that it hadn't--at least not that much). Seeing the Amish people traversing the roads in their horse-and-buggies still amazed me and I found myself taking pleasure in my wife's awe and excitement as well; this was a new experience for her--to witness such a vastly different way of life from our own. The focus of our trip, though, was trains. Timmy seems to enjoy his toy trains more than any other vehicle and so we thought it a good idea to take him to the Thomas the Tank Engine store and to visit the Choo-Choo Barn. The former wound up being a bit of a let-down, though the latter was surprisingly worth the visit. Inside was the world's largest model train set-up--a sight to behold, for sure! Timmy seemed enthralled by all of the moving parts and all of the trains zipping by on their perpetual errands. I hope to return when he is older so that he can enjoy the experience more fully. 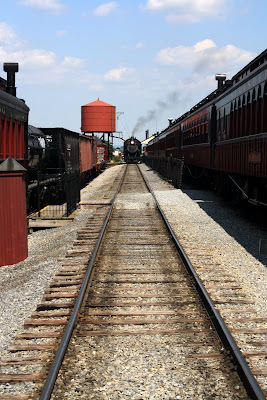 From the small shopping area we headed to the Strasburg Railroad. If there is one memory that I associate most with Lancaster County, it is taking a ride on the railroad when I was a child. I believe there is a picture of me and my Mom on the train in a photo album somewhere--it is one of my favorites. We had to scurry to make the three o'clock train or run the risk of having to wait another hour for the next departing locomotive. Fortunately, we purchased our tickets with only minutes to spare. We boarded the train and, once more, memories flooded my mind--warm recollections cascaded along, bringing with them the pleasure that only time can strip away. Like all of the happy memories from my childhood, I will cherish these moments and the feelings associated with them for as long as I am fortunate enough to do so. Timmy was exhausted, having missed his afternoon nap, and was fussy on the trip back to the parking lot. Heather and I decided against going mini-golfing (something that I ALWAYS looked forward to during my family trips!) in Lancaster and eschewed the Bird-in-Hand farmer's market. Instead, we perused the goods for sale at a few of the gift shops at Strasburg before heading back to the car. I wound up getting Timmy a laminate street sign that says "Timothy Blvd" that we will be putting up in his room upstairs. I smiled as soon as I saw it because, on one of my childhood trips to Pennsylvania, my parents got me a similar sign that remained on my bedroom door until the day that I moved out back in 2007. I can hope only that Timmy will cherish his as much as I did mine. After visiting the Lancaster Brewing Company and Stoudt's Brewing (places that I will be reviewing shortly on my other blog, http://www.thebeerwhisperers.com), I began the drive home. With my wife and son sleeping peacefully in the back and the shadows of the fading day dancing all around me, I began to reflect on how the experiences of my childhood--so many of which I have always loved--are being experienced anew but from a different perspective through my relationship with my son. I am now not only revisiting many of my favorite places but, rather, experiencing them again for the very first time. I know that my son is too little to remember many if not all of these trips and so I wonder (and wondered, as I drove) what his memories will consist of, whether or not he will enjoy traveling as much as I did, and what impact such experiences will ultimately have on him when he, hopefully, one day fathers a son of his own. I thought also about my first "big" trip. My first time on a plane was July 8th, 2007--the beginning of my honeymoon and the day after my wedding. It was a journey twenty-four years in the making. Plane travel was something that my family never did when I was growing up and so getting onto an airplane and traveling a great distance in only a few hours was a new and exciting experience for me in my mid-twenties. With any luck, our children will take their first trips when they are still quite young. I don't know what type of impact this will have on them, if any, and it is something that I struggle with (and, more than likely, am making a bigger issue out of than I need to). My first plane ride meant a great deal to me (as did my first trips to Hawai'i (the same trip as the first plane ride), Puerto Rico, and Ireland) and that is due, in part, to the fact that I had never flown or traveled terribly far as a kid. Moreover, my quest to visit all fifty states and capitals is as fervent as it is because I did not accomplish it as a child. So what of Timmy? Will it be a bad thing for him to visit Europe as a child or teenager? What traveling goals will he set for himself if he visits all fifty states with his mother and me? Will he become jaded as a result of our traveling too much? To elucidate my fear, I should explain that I am anticipating us traveling a great deal throughout the course of the next two decades. My wife and I love traveling, especially by car, and are wont to take a day trip to Boston or other places that, as a child, were made the focal point of longer expeditions. I am worried that my son will take such travel for granted or, worse, grow bored with it. Traveling still bears a certain luster--an excitement with each new place visited. I fear that he will lose that same thrill should he ever develop it in the first place. ...and, as my wife and I begin to look at the next big steps in our lives, we're fortunate to have more breathing room than either of us did growing up. We were talking about going to Hawai'i again to celebrate our 5th Wedding Anniversary and 10th Dating Anniversary next year...but decided to wait so that we can go as a family when Timmy and any of our future offspring will be old enough to enjoy the trip. In a way, I am becoming the person that I envied and hated as a kid--a have more so than a have-not. It's a new role for me and one that I am approaching with caution. It's very easy to go from the former to the latter but, with any luck, and given the careful regard my wife and I give to our finances, we will hopefully enjoy a sustained growth, which will thus afford us the opportunity to travel and to do things that were not available to us as kids. I have always been motivated to work hard because of the example set forth by my parents. Everything that we had in my house was earned through such toil and, as such, there was a certain level of respect given to our material possessions and family trips that I am afraid my son will take for granted if we are able to give him more than we (my wife and I) had growing up. It was a big deal for me to go to each new state; I appreciated each trip because I knew that my parents worked hard for us to be able to go wherever we were going. I hope that my son or my children will understand and appreciate how hard their mother (and I) work for what we have and will never take it for granted. I suppose that it is my job as a parent to ensure that such is the case and it is a river that I shall cross once it is reached. For now, though, I will just continue to enjoy the wonderful trips that I get to go on with my wife and son in our beloved sea-foam blue Echo. I can reminisce about the past with each passing trip while I look forward to even more exciting adventures to come.